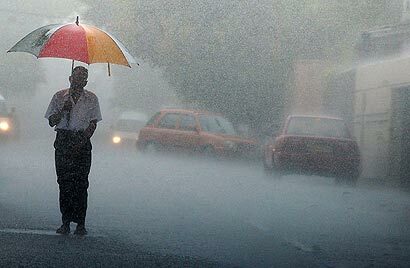 The Meteorology Department said today heavy rains exceeding 150 mm could be expected at most parts of the country due to prevailing disturbed atmospheric conditions. The Met. Department issuing a severe weather advisory valid for the next 24 hours forecasted showers or thunderstorms over most parts of the island particularly during the afternoon and night while showers expected to occur in the mornings as well. It said the sea areas could be rough due to sudden increase of wind speed during thunderstorms.